I started making these little crochet hexagons a few months ago. 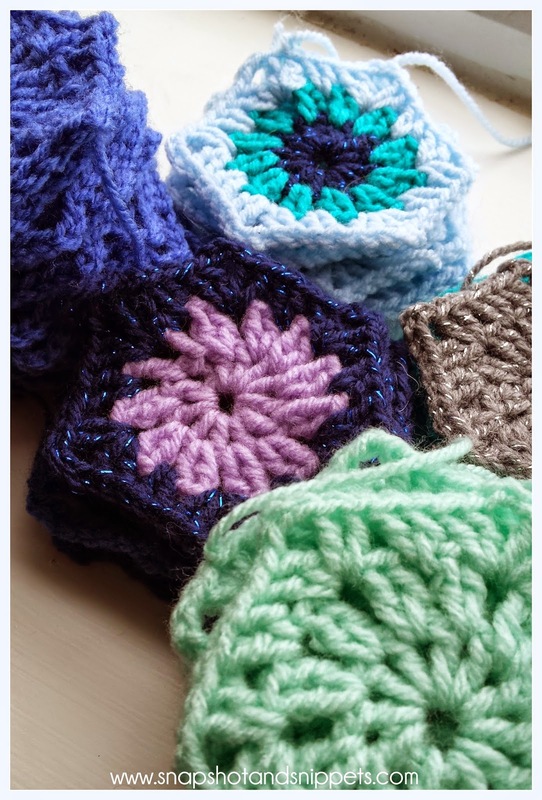 Every time I sat down to watch a bit of TV or was waiting for something I would whip a few up Crochet hexagons, I even took them to hospital with me . My pile was growing and growing but I wasn’t quite sure what I was going to do with them or how I was going to join them. 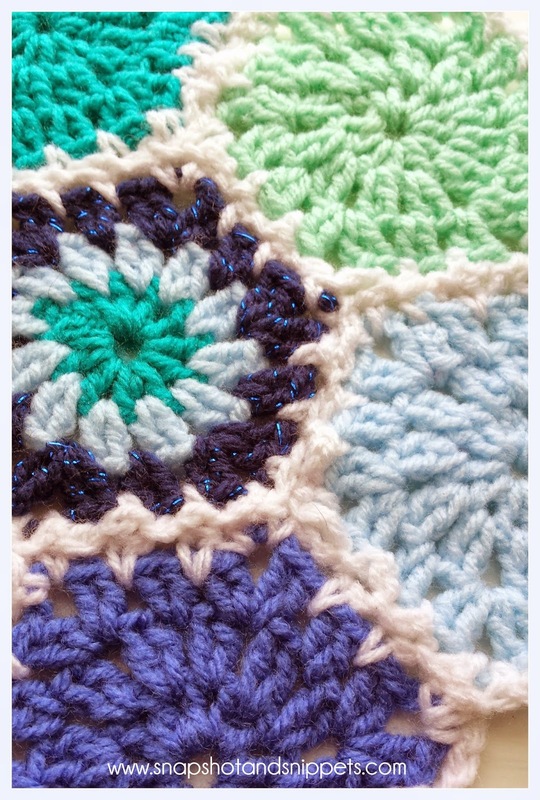 So I was delighted when Petals to Picots had a Hexagon Afghan featured this week. I love Kara’s work and she has an amazing tutorial up on how to join hexagons togethe. And as the pattern I had used for the hexagons was practically identical it was perfect for me. I finally had a way of joining these little Crochet Hexagons beauties together – Thank you so much Kara and check out her site Petals to Picots you will not regret it. With CA, cast on 4 chains and make a loop. Ch 3 (counts as dc), 1 dc in ring, ch 1, *2 dc in ring, ch 1, rep from * 4 more times, join and fasten off — 12 dc. Join CB in the last ch-sp made (I do this so I can start crocheting over those buy avodart dutasteride pesky ends as I go), ch 3 (counts as dc), [1dc, ch 1, 2 dc] in same ch-sp, ch 1, *[2dc, ch 1, 2 dc] in next ch-sp, ch 1, rep from * 4 more times, join and fasten off — 24 dc. Join CC in the last ch-sp made, ch 3 (counts as dc), 1 dc in same ch-sp, ch 1, [2dc, ch 1, 2 dc] in next ch-sp, ch 1, *2 dc in next ch-sp, ch 1, [2dc, ch 1, 2 dc] in next ch-sp, ch 1, rep from * 4 more times, join and fasten off — 36 dc. I am planning a blanket for my bedroom and am quite excited that these little scraps will make something gorgeous. My Favorite Crochet Storage – One stitch at a time. Washi Tape Clothes pegs and Crochet Stars. I love hexagon afghans. In fact, it was my first afghan to ever make. Can't wait to see your final product.